The Classes, Fees, Gearing/Lap Times, Calendar, and Committee/Contact Us sections of the website have been updated! The February issue of the Bairnsdale Kart Club Newsletter is available for download! Happy New Year to all members of the Bairnsdale Kart Club and their families. Come and check out our 2010 Club Championship Winners! The November issue of the Bairnsdale Kart Club Newsletter is available for download! The Calendar section of the Bairnsdale Kart Club website has been updated with our details of our November Club Day. 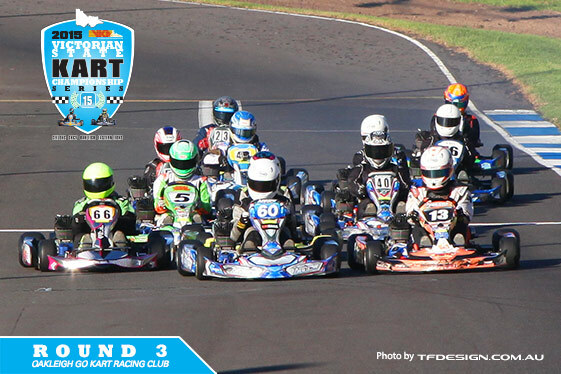 The October issue of the Bairnsdale Kart Club Newsletter is available for download! The September issue of the Bairnsdale Kart Club Newsletter is available for download! The Calendar section of the Bairnsdale Kart Club website has been updated with our details of our October Club Day. The Race Results & Contact Us sections of the website have been updated. Photos from our August Club Day have also been added to the Gallery so why not head on over and take a peak at some of the action! The August issue of the Bairnsdale Kart Club Newsletter is available for download! The Gallery has been updated with photos from our Morwell Inter-Club Race Day! The July issue of the Bairnsdale Kart Club Newsletter is available for download! The Race Results, Classifieds & Calendar sections of the Bairnsdale Kart Club website have been updated. PLEASE NOTE: We will be racing in MORWELL for an Inter-Club meeting this month. Don’t forget that the 2010 Australasian Sprint Kart ‘C’ & ‘D’ Grade Titles will be held in Morwell on August 7th & 8th, so our July Inter-Club day will be a great opportunity to get some practice in before the big event! The June issue of the Bairnsdale Kart Club Newsletter is available for download! The May issue of the Bairnsdale Kart Club Newsletter is available for download! The Classifieds section of the Bairnsdale Kart Club website have been updated. The April issue of the Bairnsdale Kart Club Newsletter is available for download! The Swan Hill Kart Club have regrettably decided to cancel this weekends Open meeting due to a lack of entries. The 2010 Bairnsdale Open Supplementary Regulations are now available! Starting time for our April Club Day will be as per our normal timetable – please see the Calendar section for more information. Our Race Results section has been updated with our March Race Day results! The March issue of the Bairnsdale Kart Club Newsletter is available for download! The Classifieds, Race Results & Calendar sections of the Bairnsdale Kart Club website have been updated. Due to the forecast of inclement weather for tomorrow, it has been decided to postpone the planned Social Day to Sperm Whale Head Beach until next Sunday February 21st – same times, meeting place and other details. Apologies for any inconvenience caused. Welcome to the 2010 Go-Karting season AND to the *new look* Bairnsdale Kart Club Website! Click on the Gallery link above and take a peak at the newly uploaded November 2009 Club Day photos AND make sure you check out our Classifieds, 2009 Club Championship Winners, Calendar and even the Facebook link below too! It’s time to get crazy in some really fast karts! You had better make sure you have the right tires for rain racing. The compounds for the wet are much softer than for the dry. This way they will heat up even though the water is running through them and stick to the track like glue! I checked out this Andretti Speed Lab site the other day. They have a lot of indoor kart tracks for racing throughout the United States. Indoor karting is a huge blast, it’s fun to watch a bunch of office workers turn into Nascar drivers and crash each other into the walls the whole time. Drop by there and check it out if you get a chance, they also have some information about karting wheels and tools. Half way through his race the rain start covering the track. Talk about tricky conditions, he’s got some amazing control though.